Expanding circular links: edit content, color, and quantity. Every image flips when you hover. Each image has a link. 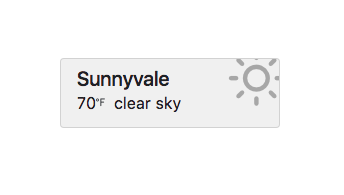 Add your city and an OpenWeatherMap key, and it just works. Add a gif in a classic card layout with link. 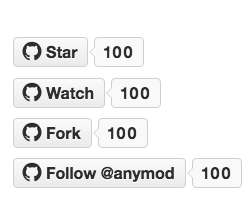 Configure with star, watch, fork, or follow. Links to your account or repo.